If you are not a connoisseur of cigars, the term hygrometer may sound new to you. This is because, this device is most commonly found in humidors. 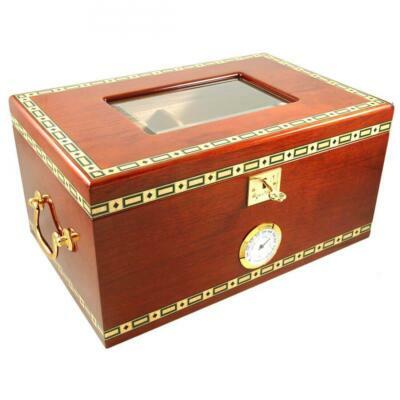 If you are also not familiar with a humidor, it is simply a box or a room where humidity is regulated by means of a humidifier along side a hygrometer. 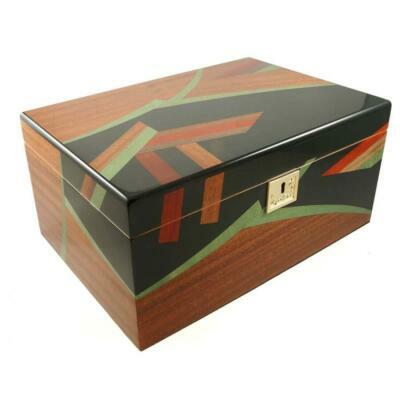 This box or room is primarily used for storing cigars, cigarettes and pipe tobacco to save them from spoiling, either because of too much humidity or too little of it. Too much moisture is an enemy of cigars that require a steady humidity level range to remain perfect for consumption and enjoyment. This is where a humidor comes to the rescue. 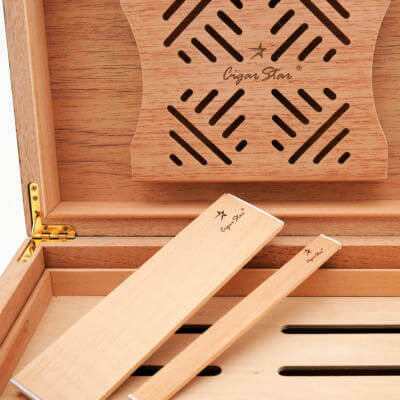 It not only maintains the desired moisture level, but also protects the cigars from deterioration from heat and damage. Cigar’s are much like fine wine and only get better if stored properly. 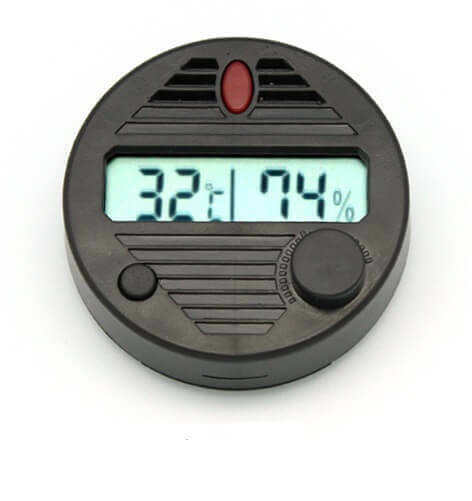 Hygrometer is a device that measures the amount of moisture in the air. Measuring relative humidity expressed in percentage. Hygrometers are indispensable for humidors, since they help maintain the cigars at an ideal relative humidity of 65 percent to 72 percent. This helps in the proper aging of cigars. 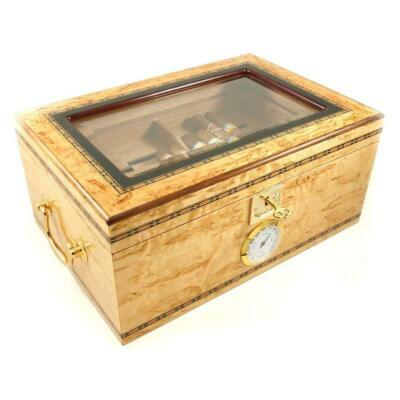 In the absence of a hygrometer, it will be impossible to determine the humidity in the humidor. This, in turn, will make premium cigars either too moist or too dry, making them unfit for a smoke. 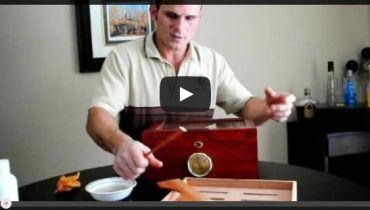 A hygrometer helps in adjusting the humidity inside the humidor to keep the cigars in prime condition. What are the types of hygrometers? There are different kinds of hygrometers available in the market for different uses. For cigars, the two main types are – Analog and digital hygrometers. 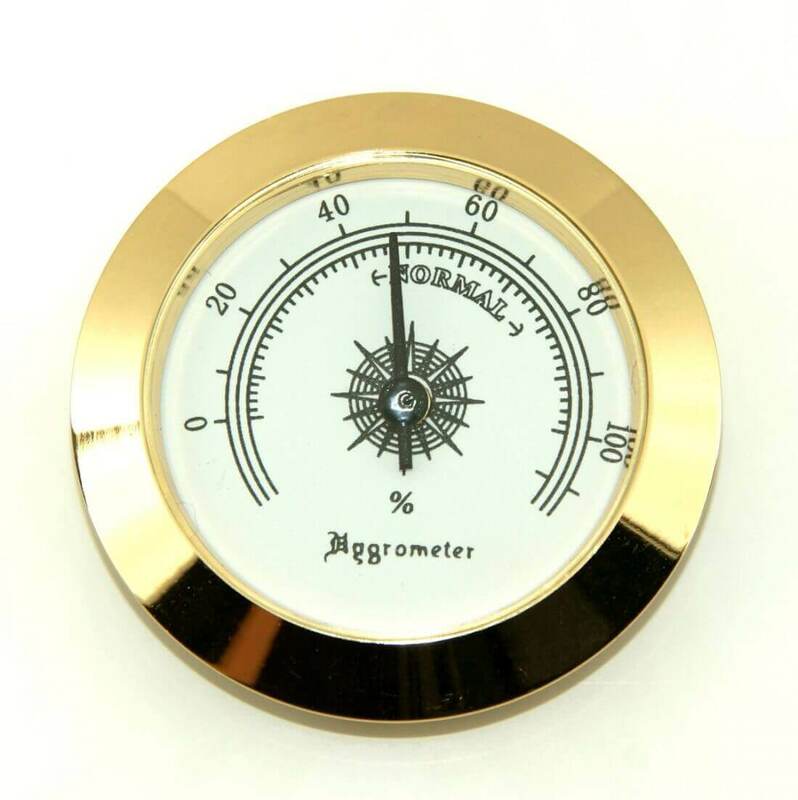 ● Analog hygrometer: An Analog hygrometer functions mechanically and indicates humidity levels by means of a mechanical needle that moves up or down depending upon the level of humidity in the humidor. Problems that can happen with this hygrometer is its accuracy. They need occasional tuning up or re-calibrating. ● Digital hygrometer: Digital hygrometer works on modern technology. Although it uses Analog sensors to measure the humidity in the air, it displays it on a digital gauge, making it easy to read. 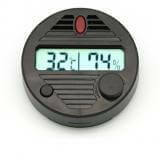 Digital hygrometers have other features too, such as memory mode that stores previous humidity and temperature readings. This feature comes in handy to track the conditions prevailing in the humidor. ● Other types: There are various other types of hygrometers. Among them, hair-tension or hair hygrometers. This hygrometer uses hair, cellulose or nylon in its displacement sensors to measure the expansion and contraction due to humidity. These fibers are connected to the dial which move the needle by contracting or expanding depending on the content of moisture inside the humidor. So, which one of them is the best? It is digital that wins, since it is most accurate and needs no tuning up. 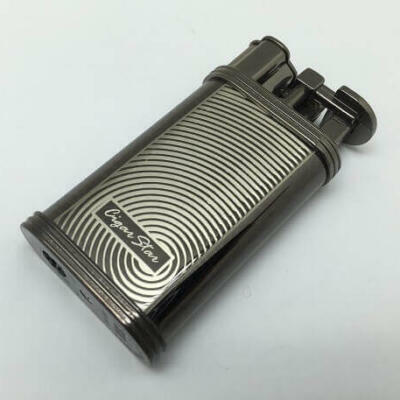 Hygrometers are the ‘life savers’ of cigars and other tobacco products, since they indicate the ideal relative humidity in a humidor to keep these products in usable condition for a great smoke.